A service learning event hosted with the college’s Student Life office and community organization HandsOn Battle Creek, the first Bruins Give Back events are scheduled for 9 a.m. to noon on Friday, Oct. 12. 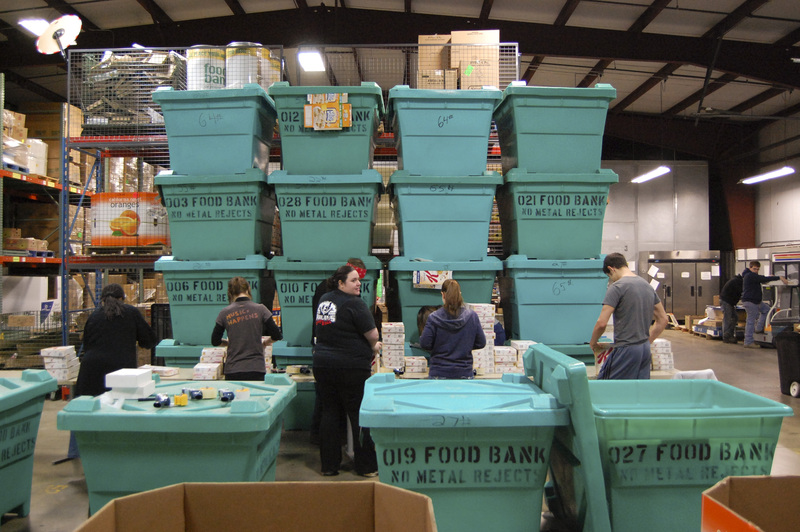 Community Action, 175 Main St., Battle Creek: Volunteers will help pack boxes for the food distribution efforts of The Emergency Food Assistance Program (TEFAP), which are scheduled for November. Springfield Middle School, 1023 Ave. A, Battle Creek: Volunteers will serve by reading books to kids. Woodlawn Preschool, 1175 W. Territorial Road, Battle Creek: Volunteers will help finish filling in the mural painting on the outside of the school building. Pictured above, Bruins Give Back participants volunteer at the Food Bank of South Central Michigan in Battle Creek in April.